A monthly religious periodical serving the Congregationalists of the Swansea area. 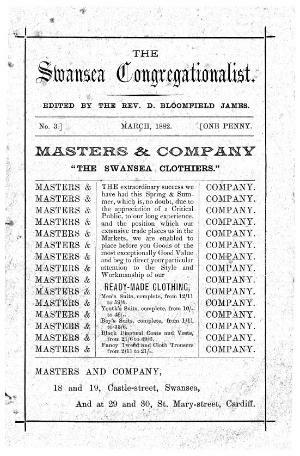 The periodical's main contents were denominational news for the Swansea area and religious articles. The periodical was edited by D. Bloomfield James.